Hardscaping has hit the market as the residential landscaping choice. With winter approaching, you are thinking of the best way to spruce your landscaping deals with new trends. In recent years, the home landscaping trends led landscapers to focus on raising sustainable garden beds for food production and adding features such as waterfalls, fancy fountains and koi fish ponds for a local ecosystem. Hardscaping, the newest designer trend in landscaping, focuses on the hard flat surfaces you drive or walk on around your home such as your driveway, front pathway and entranceway, garden pathways, patios, pool surrounds, pond paths etc. StoneSet transforms your landscaping designs into beautiful fancy hardscaping for a long-lasting aesthetically pleasing effect to get your neighbours and guests excited to visit your home. Residential landscaping contractors enjoy incorporating StoneSet’s porous and overlay paving into landscaping and hardscaping designs for their clients. When you think of landscaping, chances are you imagine lush lawns, full flower beds, and carefully pruned trees. What you might not be thinking of though, are gravel walking paths, paved patios, or retaining walls. Are you renovating or updating your home? Before pouring any concrete or laying paths, consider these three ways porous paving could benefit your project. Hardscaping products and ideas hit the market this autumn as the new focus trend in landscaping for residential properties. 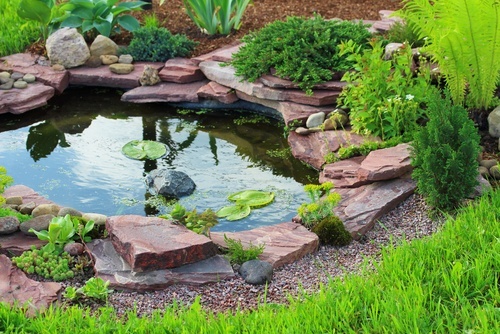 In recent years, emphasis in home and garden advertising led homeowners to concentrate on building and developing sustainable raised garden beds for home food production, adding backyard koi fish ponds for mini-ecosystems, and adding water features like fancy fountains and waterfalls for soothing sound effects. Often, homeowners neglected to finish landscaping around these wonderful value adding features reducing the aesthetic appeal. 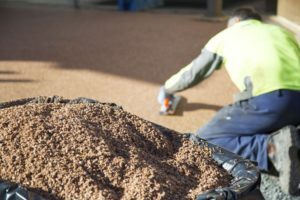 Busy Australian landscaping contractors looking for new ideas and new products to suggest to their clients find that StoneSet pleases and impresses the toughest kinds of clients with the very highest demands. Do you have a dried up lawn in your back yard that is beyond repair?